La Grande Wheel, originally uploaded by Kelson. 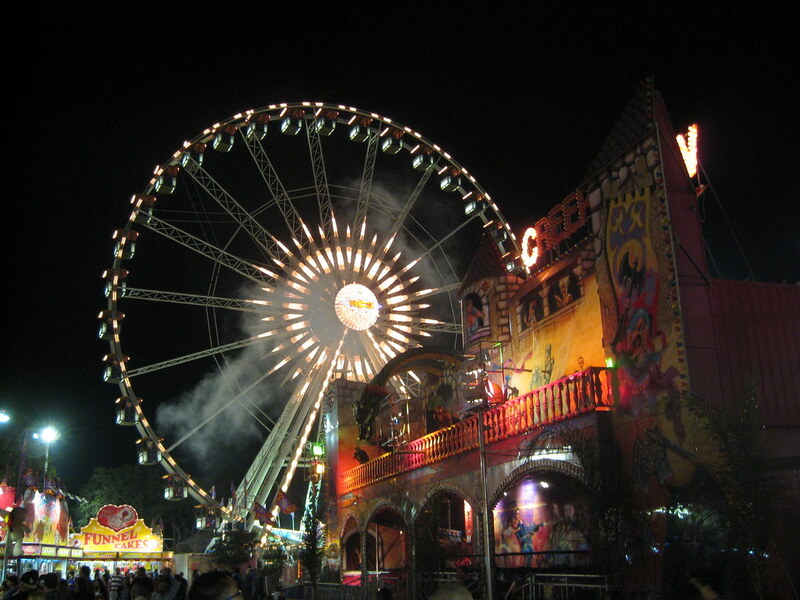 Ferris wheel at night at the 2009 Orange County Fair. 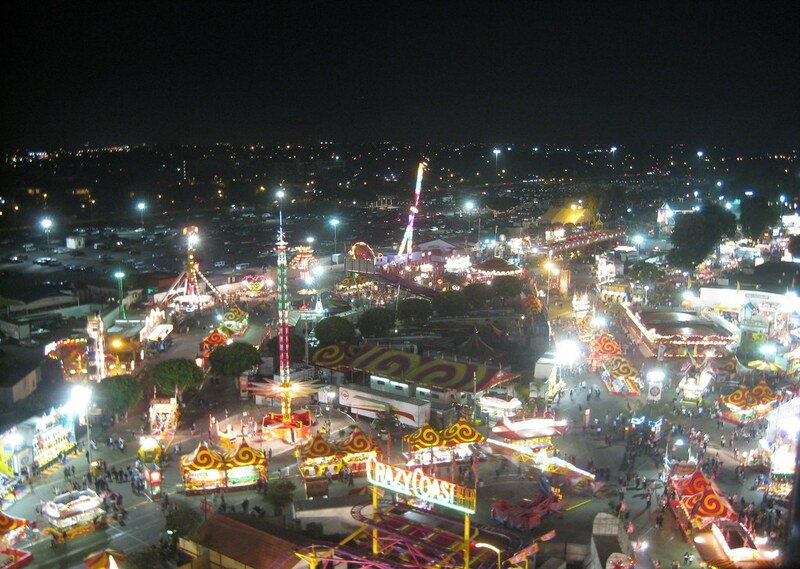 OC Fair from Above at Night, originally uploaded by Kelson. Looking down at the carnival area of the 2009 Orange County Fair from the top of the Ferris wheel. This was the end of a busy afternoon and evening at the fair that encompassed “Weird Al” Yankovic’s 3-D brain, a concert, and the horrifying realization that at the fair, people will fry anything. Is the world ready for the Zucchini Weenie?